Dr MaryAnne Demasi from the Catalyst. Her investigative reporting on the dangers of statin drugs has now been banned. Photo courtesy The Age . UPDATE 5/12/2014 – ABC Australia has removed these videos  from their website! The pressure from the pharmaceutical industry must have been too great. We have other YouTube copies below, but it may be only a matter of time before YouTube bans these. Outside of the United States, the myth that saturated fat and cholesterol cause heart disease is quickly falling apart. Sweden just recently became the first western nation to reject the low-fat dietary philosophy  in favor of a high-fat low-carbohydrate diet. A leading cardiologist in the U.K. made shock waves recently by appearing in the mainstream media and stating that saturated fats were not the cause of heart disease, but refined carbohydrates were. Now, ABC TV in Australia has released a news documentary with the title: “HEART OF THE MATTER : The Cholesterol Myth: Dietary Villains and Cholesterol Drug War.” This documentary interviews cardiologists, science writers, and other experts who expose the saturated fat and cholesterol myth. This is part 1 of a 2-part series. Wow, talk about scare tactics! If the science that is represented in this documentary is wrong, why not refute the science instead of using scare tactics to endorse censorship? Fortunately, ABC Australia did not censor it, and you can watch Part 2 here . People around the world are waking up to these dietary myths, as well as the scam of cholesterol-lowering drugs and how harmful they actually are. But given that exposing this myth threatens the loss of billions of dollars in profits in the United States, will the mainstream media and the U.S. Government follow other western nations? Those of us in the alternative media, via the Internet, have been covering this issue for more than a decade now! Is the role of cholesterol in heart disease really one of the biggest myths in the history of medicine? 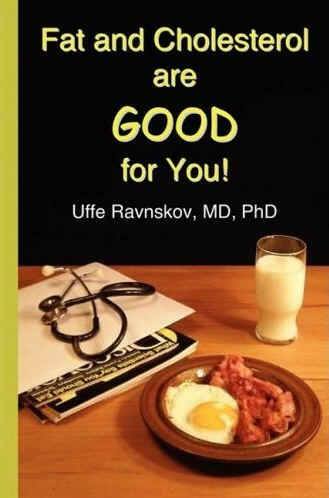 For the last four decades we’ve been told that saturated fat clogs our arteries and high cholesterol causes heart disease. It has spawned a multi-billion dollar drug and food industry of “cholesterol free” products promising to lower our cholesterol and decrease our risk of heart disease. But what if it all isn’t true? 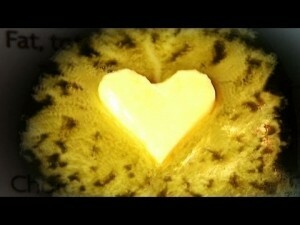 What if it’s never been proven that saturated fat causes heart disease? This video answers these questions.